This web site is dedicated to one amazing product: EasyVoiceBiometrics, a breakthrough in voice identification and analysis. What if you had 30 suspects with limited time to make an identity? What if the clock was ticking and you had to know? What if you had a product that could eliminate 27 suspects in 30 seconds and give you all of your time to focus on the 3 most likely candidates? Now, you can. Easy Voice Biometrics doesn't care if you whisper, doesn't care if you yell, doesn't really care if you try to disguise your voice. It will still use it's cutting edge technology to find you. Why not watch the product in action for yourself? Our free trail allows you to test the technology on your own samples and prove just how powerful this cool new product can be. 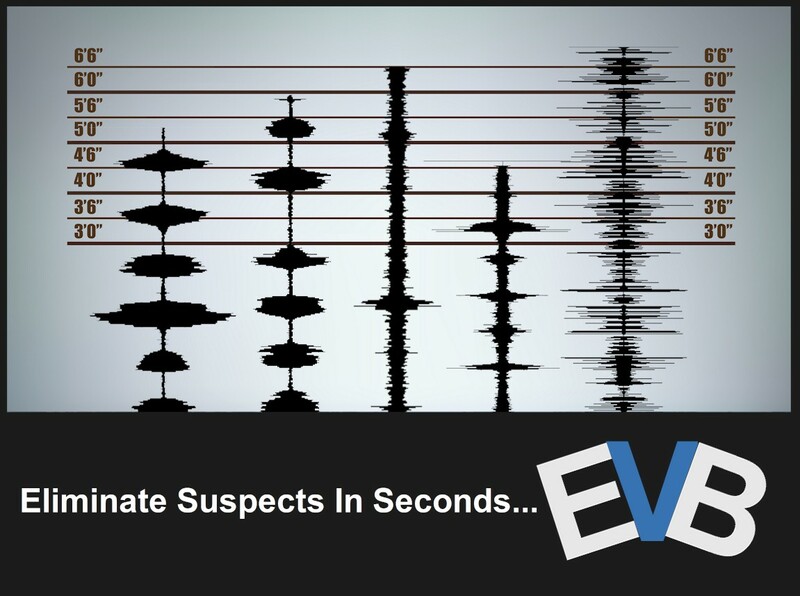 Used worldwide for Audio Forensics applications, you'll be amazed by it's accuracy! Your spoken words used as future fingerprints! © 2019 EasyVoiceBiometrics. All rights reserved worldwide.